Kevin M. Houlihan & Co.
Main Street, Blessington, Co. Wicklow, Ireland. Since the firm’s foundation in 1981, Kevin M. Houlihan & Co. has earned an enviable reputation for delivering a cost effective, friendly service while still maintaining the highest professional standards. All areas of law are covered, from conveyancing, road traffic accidents and personal injury claims, PIAB applications, through family law and employment law, to medical negligence and fatal injuries cases. We are well known for our efficient handling of wills, probate and administration of estates. We deal with planning & environment matters, attend to company formations and corporate matters generally and bring the special interests of our principal to the areas of motorcycle accident and injury claims and aviation law. Using our own combined experience of over 50 years and tapping into our extensive network of expert advisors we will deal with your business in a personal, down to earth manner. We will outline the likely timeframe and costs involved in advance. We will bring you step by step through your matter to achieve the best possible outcome keeping your interests foremost throughout. 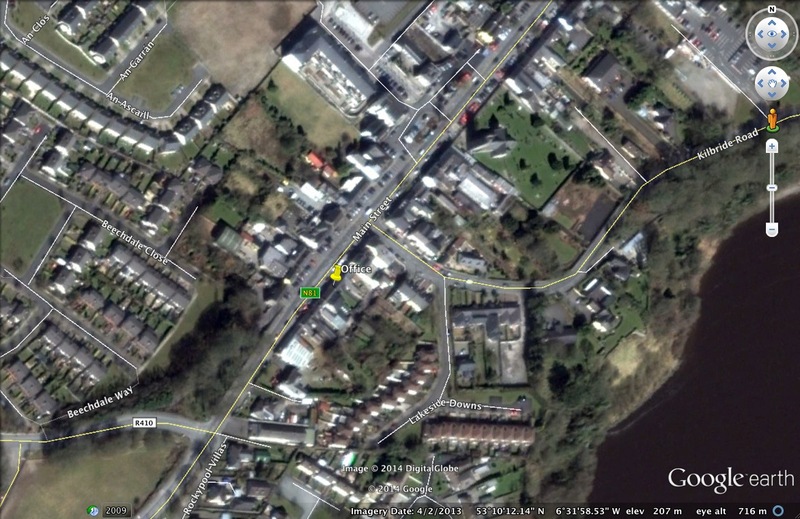 We are very conveniently located on the main street in Blessington, four doors down from AIB and across the road from Hennessy’s pub. The 65 bus stops at our door. There is ample free parking available, sometimes right outside the door. There is a disabled parking bay 25 meters away on the same side. Our entrance, reception and conference room are all on ground floor level and are wheelchair accessible. 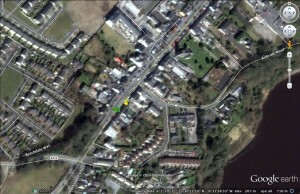 Our GPS co-ordinates are N53º10’11” W006º32’08” or 53.16972 -6.53371. We do not collect any data on you via this website. We do not send ‘cookies’ or interact with your device in any way while you browse. This web presence is intended to give you information on us and to allow you to contact us to discuss your legal needs. Data we hold on our clients is kept securely and is not sold, shared or made available to data harvesting or marketing businesses. We are fully GDPR compliant.